Welcome to the Back to the Books Giveaway Hop! This Hop will run from 12:01 AM September 1 to 11:59 PM September 7, and the winner will be chosen via Random.org. Don't forget to visit the other participating blogs, leave comments, and enter their giveaways, too! It's been a long summer, the promise of fall is ahead, and we all need great fall reading. And swag. And gift cards so we can buy more books! And more great blogs to read! So participate as widely as possible! I'll be giving away the first of the Adventure Bear Cubs books, a neat new series of travel books for children. The book comes with a very cute stuffed bear, and a drawstring backpack. This is a very neat little package, aimed at making a visit to Boston fun and educational for young children. The book itself is a slim, colorful volume loaded with Krippendorf's own excellent photographs of Boston's historic sites and tourist attractions, including Castle Island, Old Ironsides, the Old and New State Houses, the Duck Boats, and the biggest milk bottle in the world! (At Boston's Children's Museum.) Each photograph--with the bear featured prominently, exploring Boston--is accompanied by information, questions, and activity suggestions geared to a child's understanding and aimed at keeping the child engaged and entertained. Ebook isn't the best format for reading a graphic novel, so right up front let's be clear that I didn't get the best of this book. Despite that, the artwork is intricate and lovely, and well worth taking some extra time to enjoy. In print and in color, I'm sure it's immensely better. The story itself is simple and engaging, with moments of humor. Tansy, one of the three daughters of the local Healer, is clearly the one who got her father's interest and talent--and annoys her sisters and mother by having little interest in chores beyond herbalism. It's not that she won't work, and willingly, if asked; it just doesn't occur to her. When Tansy finds some dragon's bane, she and her father are puzzled as to what it means--and the Healer goes off to investigate. First off, in the interest of full disclosure, I need to tell you that Dan and I have been friends for years, and I received a free copy of this book from him. There's no pretending I'm completely objective, here. On the other hand, Dan and I have been arguing vigorously about science fiction, fantasy, and movies for all those years, too. This is a collection of criticism and commentary about science fiction movies that Dan has written over his years as a movie critic. He's added some updating, new critiques, and some additional material, tying it together into a knowledgeable, educational, and entertaining discussion of science fiction movies, their value, and their significance. Okay, this isn't the most fascinating post. In fact, it exists solely for the purpose of claiming my blog on Technorati. Let's just hope I'd doing this right. 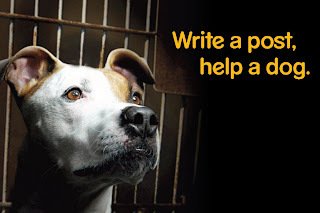 Once again, for the 2011 BlogPaws conference, Pedigree is running its "Write a Post, Help a Dog" campaign. Last year, 391 bloggers participated, and Pedigree donated 20 pounds of its Healthy Longevity dog food to shelters for each post. Let's make it an even bigger success this year! 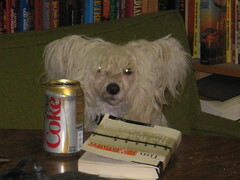 This is a new paperback edition of Fluke's 2006 eighth entry in her Hannah Swensen mystery series. In the last book, both Mike and Norman proposed to Hannah, and she's still (and will for at least several more books) engaging in her irritating dithering and inability to choose between the two men. As annoying as this is, she is 100% justified in her outraged reaction to receiving a half dozen calls before 6am demanding that she make an immediate decision so that the two men will stop acting like the lovestruck idiots that they are. This nonsense aside, though, this is another solid entry in the series. Wilson gives us a highly readable account of what we do and don't know about psychological and social psychological interventions--what works, what doesn't, why, and how we tell the difference. A major concern of Wilson's is many popular, widely accepted approaches to solving, reducing, or preventing problems, such as Critical Incident Stress Debriefing (CISD) counseling for police and firefighters after a traumatic on-the-job incident, or popular and widely-respected anti-drug programs for the schools, have been implemented on a large scale without being scientifically tested first. In some cases, once broadly accepted, these approaches remain unchanged even after scientific testing demonstrates that they are ineffective or even counter-productive. Are girls and boys really that different? Are their brains wired differently in important ways, leading to very different abilities and needs? Rivers &amp; Barnett take a hard look at claims that the brains, and therefore the abilities, of boys and girls differ in major ways, making it necessary to teach them in very different ways. First they look at the claims, the proposals based on them, and the studies claimed to support them. How can you network more effectively? Be more likable. And while that may seem a bit flip, it really is the key. As Lederman says, "People do business with people they like." If you are not likable and reliable, people will find someone else to do business with. The good news: you can learn how to be more likable, how to make your likability more visible and apparent to others, and Lederman provides a nifty little primer for getting started. And she starts with a personal revelation: Some years back, when she was giving a presentation to students on, amongst other things, making sure every professional interaction has a clear purpose or goal, she asked them what they thought her purpose in that presentation was--and one student said, "You want us to like you." In the moment, she thought to was a ridiculous answer; of course she wasn't concerned about being liked! The comment stuck with her, though, and over time she realized that, in fact, not only do we all want to be liked, but being liked is essential to networking effectively, both personally and professionally. In the years that followed, a growing understanding of what makes us likable and how it works for us led to the need to articulate these lessons for others. Andrea is the winner of the giveaway, and will receive the book, A Dog's Purpose, and the beach towel with the book's cover image. Congratulations, Andrea! I'll have it in the mail to you by the end of the week. I am waiting to hear back from the winner before I announce results. Please check your email! I couldn't reasonably eliminate the words "win" or "winner", so if you participated, it's possible my email is sitting in your spam filter. Please check! Dr. Gerald "Jerry" McNerney is an engineer, energy specialist, and US Congressman from California's 11th district. Clean Energy Nation reflects his professional education and experience as well as his experiences in Congress, working to advance realistic, rational energy and environmental policies. McNerney's message is that global climate change is real and a major threat, oil and other fossil fuels really are starting to run out--and that the two problems compound each other. Global climate change increases our use of energy to maintain livably cool temperatures, grow food in increasingly dry regions by use of irrigation, rebuild after increasingly frequent and violent storms, and eventually relocate people, their homes, and their businesses inland from the places that will be underwater as the icecaps melt. Also, somewhat counter-intuitively, quite possibly to heat an increasingly frigid Europe, if the melting of the icecaps has the effect of turning off the North Atlantic conveyor that keeps northern Europe much warmer than equivalent latitudes in North America. 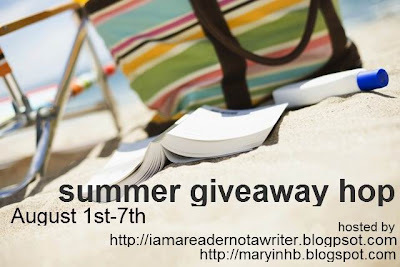 Welcome to the Summer Giveaway Hop! This Hop will run from 12:01 AM August 1 to 11:59 PM August 7, and the winner will be chosen via Random.org. 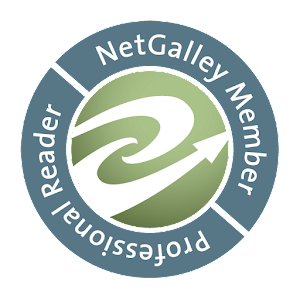 Don't forget to visit the other participating blogs, leave comments, and enter their giveaways, too! We're having a hot, hot summer and we all need great beach reading. And swag. And gift cards so we can buy more books! And more great blogs to read! So participate as widely as possible!